Peerless Hospital, Kolkata, India observed World Kidney Day on the 9th March 2017 through a series of programmes. The Deptt of Nephrology under the leadership of Dr. Saubhik Sural, Clinical Director, Deptt. of Nephrology, has grown to the present stature and this was the 10th year of observing this day through awareness programme and health camp. The theme of this year’s programme was Obesity and its effects on Chronic Kidney Disease. He highlighted the 8 golden warning symptoms of CKD while he stressed that preventive screening should be done before the warning symptoms appear. 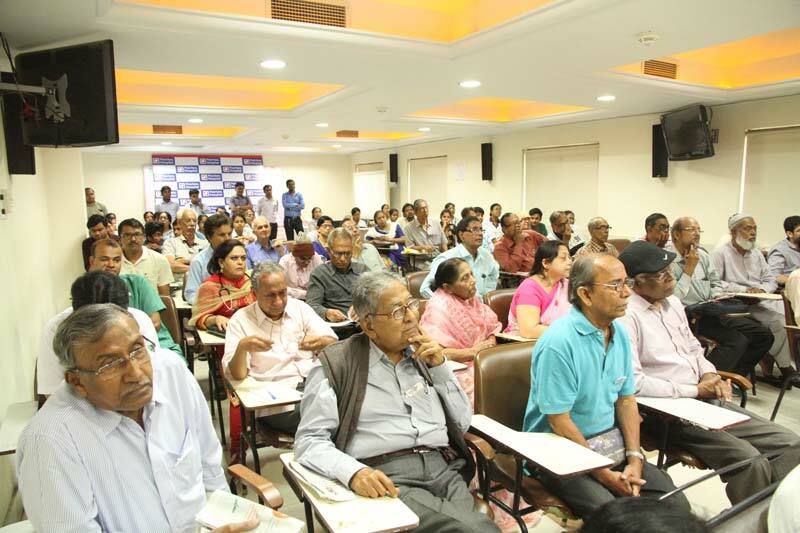 Almost 70 people listened to the deliberation with rapt attention and shared their views during the interaction. “Dr. Dipankar Bhattacharjee, who started the Nephrology Unit with way back with a modest setup is back after many years of working in the UK and has rejoined the unit recently. The department has gone up under the leadership of Dr. Sural and his team to a much larger facility,’ said Dr. Sujit Kar Purkayastha, Managing Director, Peerless Hospital in his address. He appreciated the whole team of Nephrology for their dedication and warmth in treating patients which is why long treated patients find this Hospital as their second home. Health check up was done for screening of Kidney diseases for more than 50 patients.